Marble is used by Native American jewelers and Zuni fetish carvers in a variety of ways. 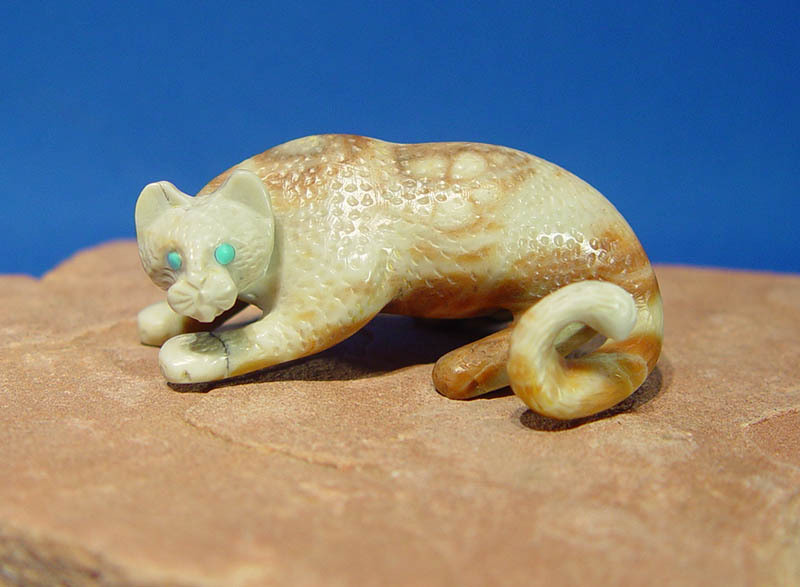 In Navajo or Zuni jewelry, marble can be used as a cabochon stone setting in Sterling Silver, or in channel or mosaic inlay in Sterling Silver. 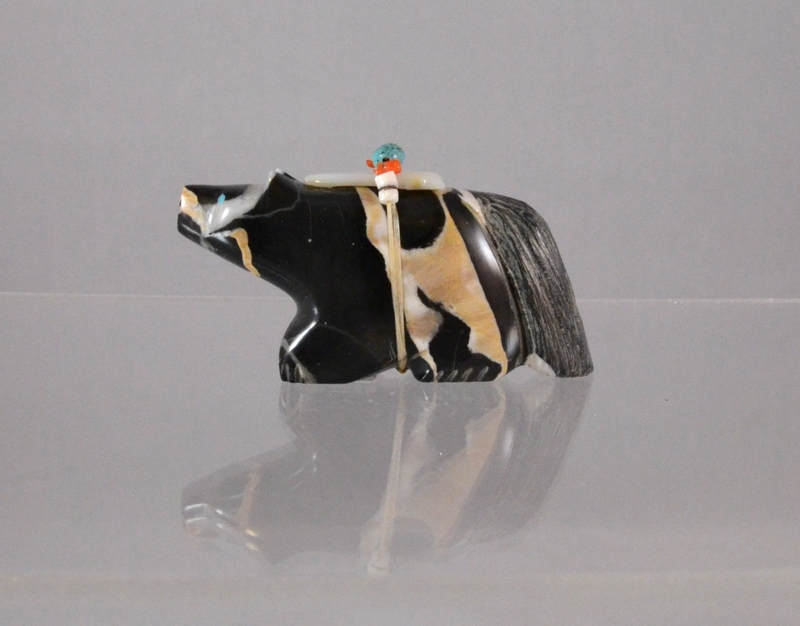 In Zuni fetish carvings, one usually sees marble as a stand-alone material representing the animal or figure's body, or more infrequently as a part of stone-inlay for ornamentation.